It is their purpose that Japan shall be stripped of all the islands in the Pacific which she has seized or occupied since the beginning of the first World War in 1914, and that all the territories Japan has stolen from the Chinese, such as Manchuria, Formosa, and the Pescadores, shall be restored to the Republic of China. Japan renounces all right, title and claim to Formosa and the Pescadores. 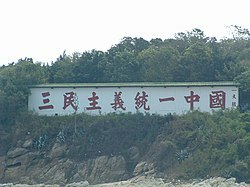 The U.S. side declared： The United States ac- knowledges that all Chinese on either side of the Taiwan Strait maintain there is but one China and that Taiwan is a part of China. The United States Govern- ment does not challenge that position. 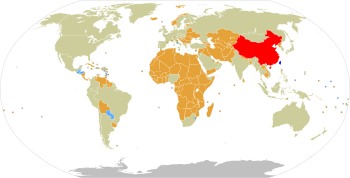 The United States of America recognizes the Government of the People's Republic of China as the sole legal Government of China.……The Government of the United States of America acknowledges the Chinese position that there is but one China and Taiwan is part of China. ^ 兩岸官方接觸全斷 北京當局「以民促官」海峽論壇近60項民間交流活動登場. 风传媒. （繁体中文）. ^ Hsiao, Frank S. T.; Sullivan, Lawrence R. The Chinese Communist Party and the Status of Taiwan, 1928-1943. Pacific Affairs. 1979, 52 (3): 446–467 [2007-12-07]. ISSN 0030851x 请检查|issn=值 (帮助). ^ Public Papers Harry S. Truman 1945-1953. www.trumanlibrary.org. [2018-07-11]. ^ 参議院会議録情報 第013回国会 外務委員会 第33号. 昭和27年5月27日. p. 2. （日文）. "第十條は、これは台湾並びに澎湖島の住民或いはそこに前住民であつた人が日本に来たり或いはほかの国に行つている場合もございますが、その人たちの主として便宜のために設けられた條文でございまして、便宜と申しますと、例えば現在の法律上の建前では台湾並びに澎湖島というものの最終的な領土帰属がはつきりしておらないわけでありまして、而も台湾並びに澎湖島はサン・フランシスコ條約が発効いたしますと、我が国から離れてしまう、離れてしまうについて、而も従来台湾籍民と言われておつた人たちが日本の国籍を失う、而も失つたあとその国籍がはつきりしないままであつては甚だ不便でありまして、旅行するとき等にどこの旅券を持つて来れば我が国に入るときに認めるというような問題を生じますので、この十條においては台湾並びに澎湖島の住民或いは以前にそこの住民であつた者或いはその子孫というものは中華民国の国籍を有するものとみなす。中華民国の国民に含まれているものとみなす、みなすという規定であります。"
^ 王成斌等主編 (编). 《民國高級將領列傳》(1). 北京: 解放軍出版社. 1998. ISBN 7506502615. ^ 人民網. 台學者建議“一中同表”. 人民網. 2004-08-02 [2015-06-17] （中文）. ^ 民進黨黨綱 (PDF). （原始内容 (PDF)存档于2015-06-16）. ^ 张宝钦. 揭秘台湾当局与“民运”的合作内幕. 鳳凰網. 光明網「光明觀察」. [2017-02-02]. ^ Logevall, Fredrik. Embers of War: The Fall of an Empire and the Making of America's Vietnam. random House. 2012. ISBN 978-0-679-64519-1. 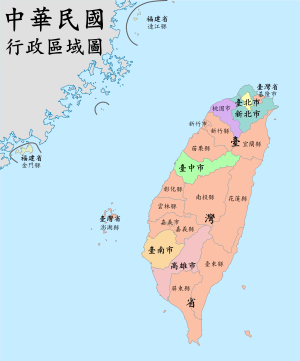 The United States did not explicitly state the sovereign status of Taiwan in the three US-PRC Joint Communiques of 1972, 1979, and 1982. The United States "acknowledged" the "One China" position of both sides of the Taiwan Strait. 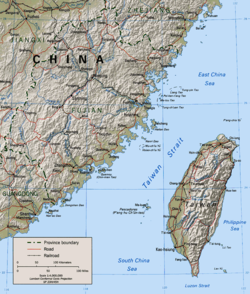 U.S. policy has considered Taiwan's status as undetermined. U.S. policy has considered Taiwan's status as unsettled. ^ 張茂森. 日本政府未承認台灣屬中國. 自由電子報. 2010-05-20. 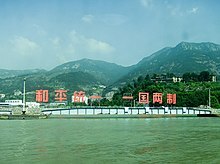 （原始内容存档于2013-11-02）. ^ 中国新闻网. 联大总务委员会第15次拒绝将涉台提案列入议程. 西部网国内新闻. 西安. [2017-10-15] （中文（中国大陆）‎）. ^ UPDATE ON UN REFERENCES TO TAIWAN. Wikileaks. 16 August 2007. Classified By: Ambassador Zalmay Khalilzad for reasons 1.4(b) and (d). 1. (C) Upon his return to New York August 13, UN SYG Ban met with Amb Khalilzad to discuss a range of issues. On the issue of UN language on the status of Taiwan, Ban said he realized he had gone too far in his recent public statements, and confirmed that the UN would no longer use the phrase "Taiwan is a part of China," as reported reftel. 2. (C) Separately, the missions of Australia, Canada, Japan and New Zealand have consulted with USUN about the subject. In reaction to Washington's demarche and following USUN's engagement with the UN, Canada too demarched the UN and received the same commitment that the UN would no longer use this phrase. ^ 仇佩芬. 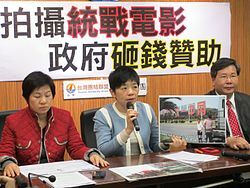 【獨家】國際NGO申請聯合國「諮詢資格」提到台灣要說「中國一省」. 上報. 2017-07-30. ^ 石秀娟. 打壓台灣有明證，中國發函各國：「中國台灣省」不應出席WHA. 風傳媒. 2017-05-22. ^ 潘基文对中国台湾省地震表示关切. 联合国新闻中心. 2016年2月9日 [2016年2月10日] （中文（简体）‎）. ^ 联合国中文部. ［联合国与中国］秘书长发言人杜加里克在记者会上被问及声明中“中国台湾省”的称谓时，杜加里克强调，这是联合国所采用的正式称谓。. 联合国官方微博. 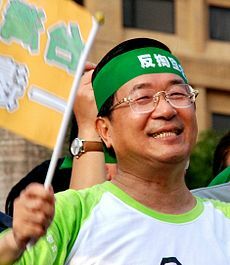 纽约. [2017-10-15] （中文（简体）‎）.